Rumors abounded that Amanda "The Wall" Waller would become a part of the cast of Arrow when it was revealed that Deadshot would be returning and that Michael Jai White would be playing the part of Bronze Tiger - both characters having been a part of Waller's Suicide Squad. 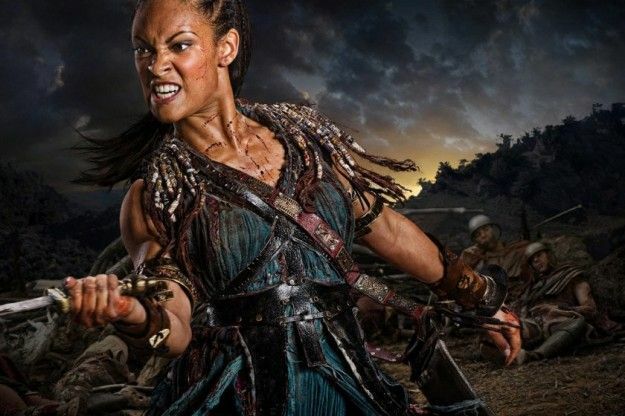 While we cannot confirm or deny that a Suicide Squad style team will be a part of Arrow's storyline, we can confirm that Spartacus actress Cynthia Addai-Robinson has been cast as Amanda Waller. I'm withholding any judgement until we see her on the show. While the odds probably weren't good that The CW would ever cast CCH Pounder or Angela Bassett in the part (even ignoring the younger, sexier Amanda Waller in all the New 52 comics), I take it as a good sign that they cast an actress better known for playing tough female characters than the model-types that usually grace The CW's shows. Also, we now have a new trailer for Season 2 of Arrow.